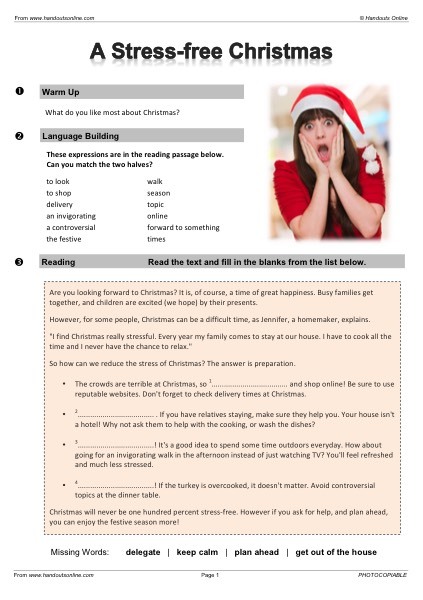 Fantastic EFL / ESL worksheets ready to print. 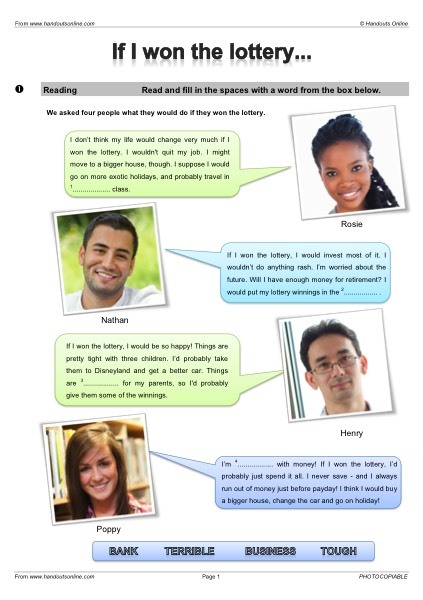 Conversation, business, idioms and grammar. 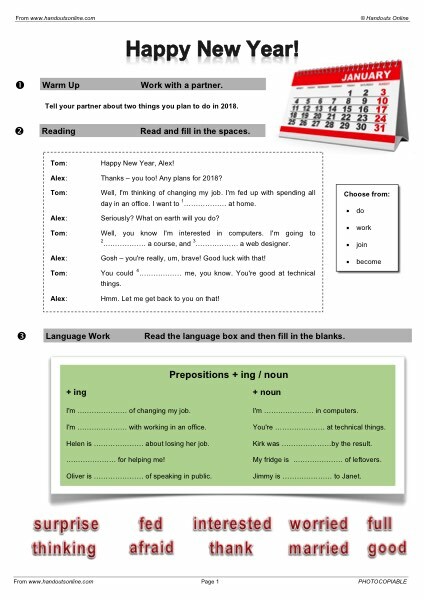 Use them in your classes today! 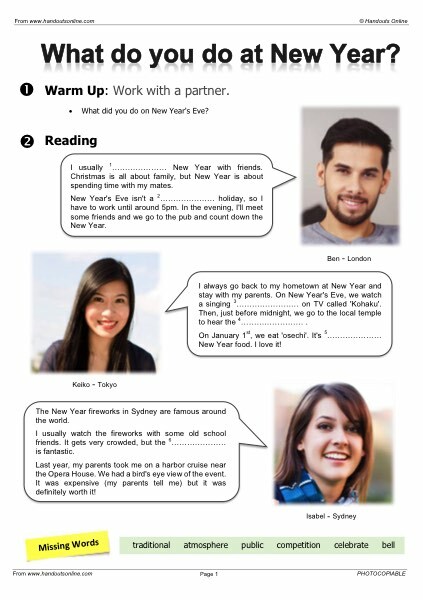 We have fantastic resources for EFL / ESL teachers. 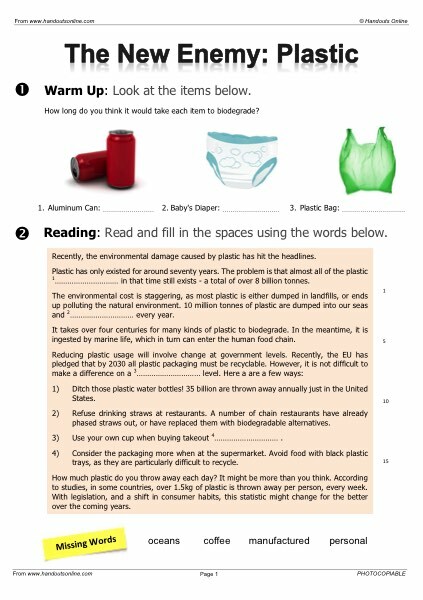 It's easy to find a worksheet - just use our search box or click on the Worksheets link to jump to a category. 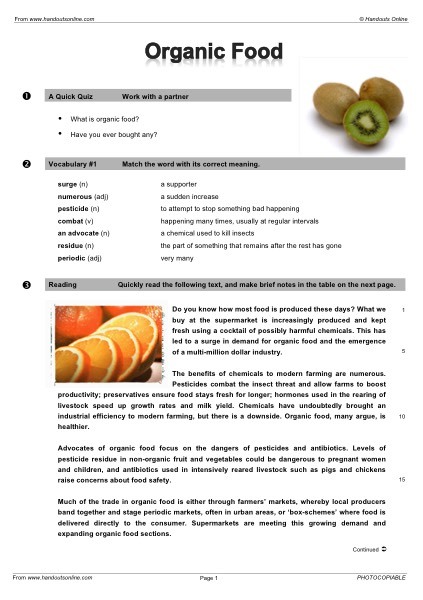 Take a tour of Handouts Online. 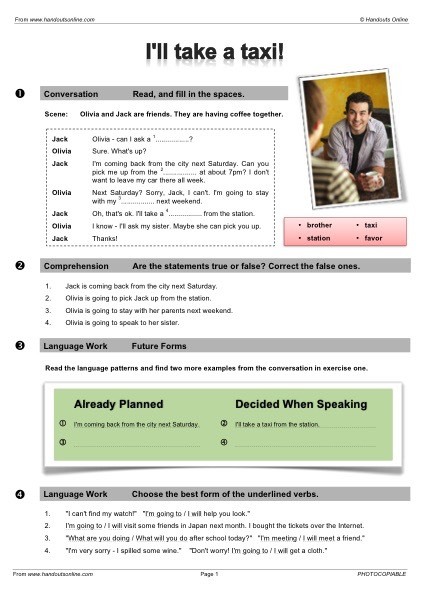 We have over 500 worksheets covering conversation, grammar, games, reading, vocabulary and more. 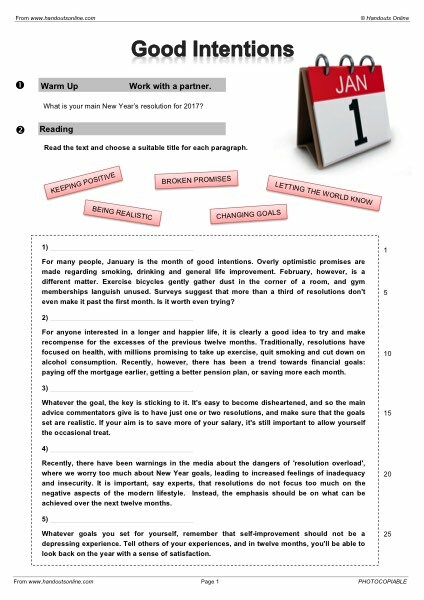 Members can download and photocopy for their classes. 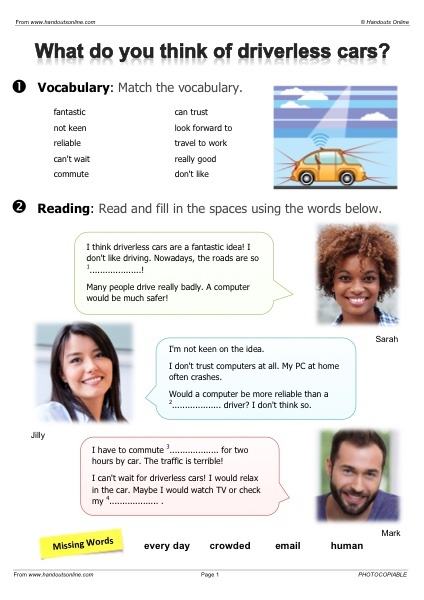 Are you teaching English online? 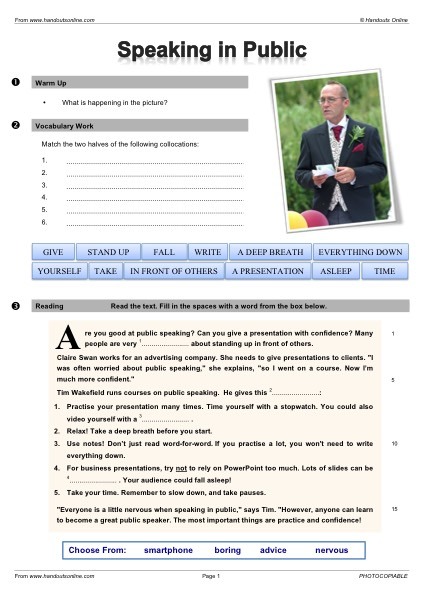 You'll find our handouts ideal for a structured online lesson. 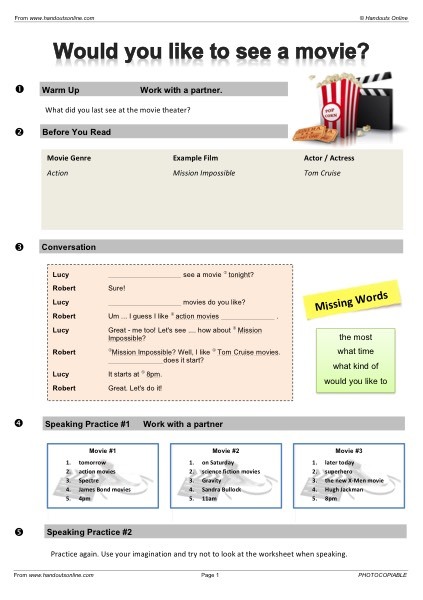 Handouts Online can even email a worksheet directly to a student. 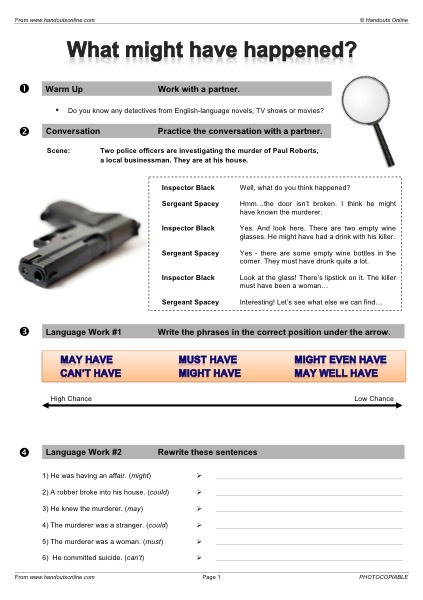 Find that worksheet in seconds! 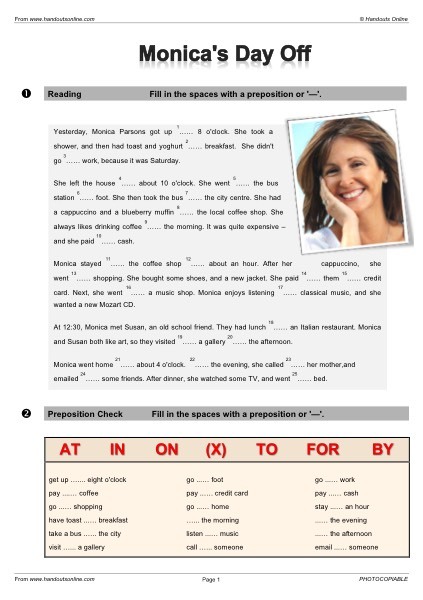 Whether it's business, general English, travel or a grammar refresher, you'll find it in our extensive collection. Look one up now, have a browse, or check our search ideas! 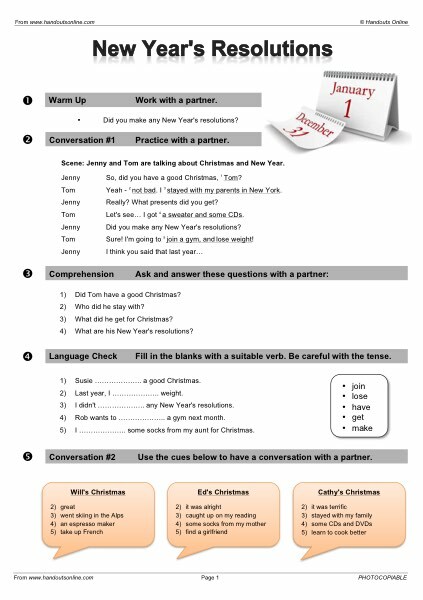 We've designed our worksheets with flexibility in mind. 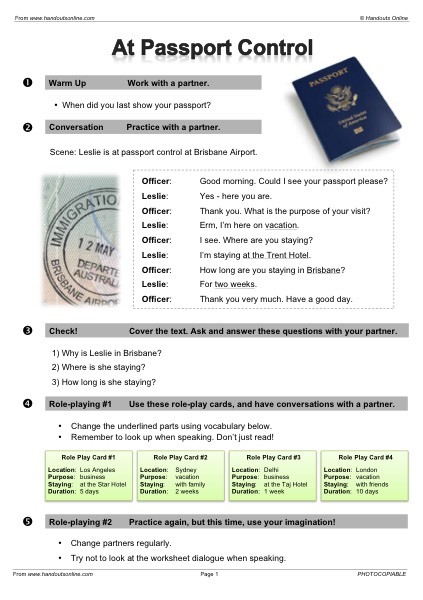 They're perfect for students of any nationality and you can use them in individual or group lessons. 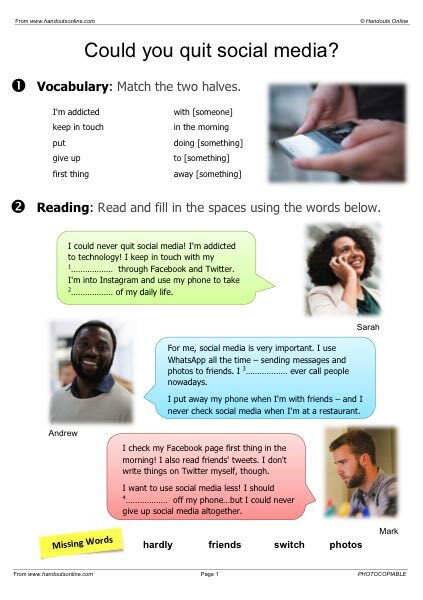 They also make great supplementary material for ESL textbooks. 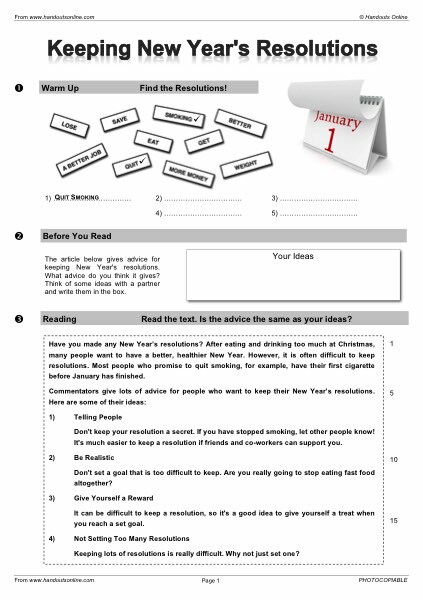 All our worksheets include step-by-step instructions and suggestions. 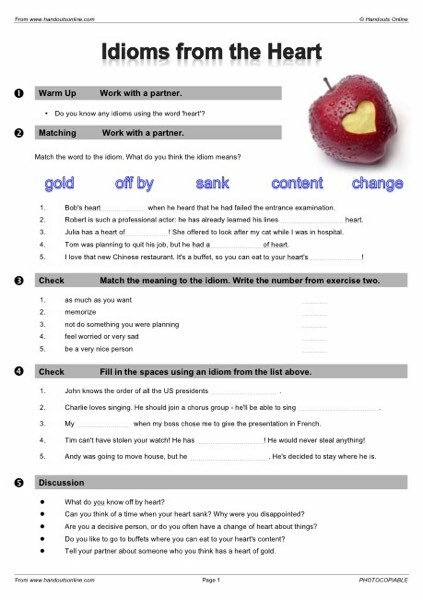 There are also answer keys for all exercises. 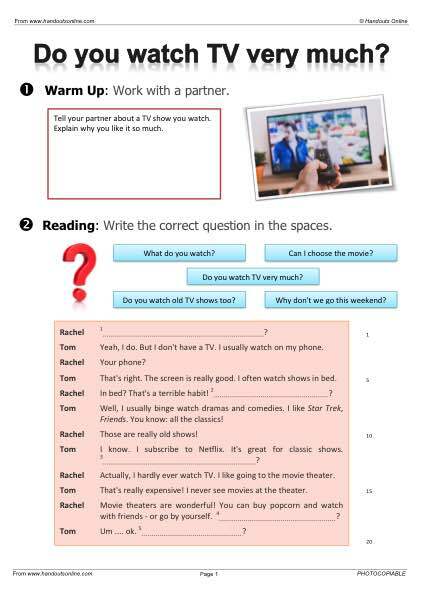 It's just $22 for a year's membership or $30 if you'd like to use our worksheets in Skype-based lessons! Help your students clinch that perfect job! 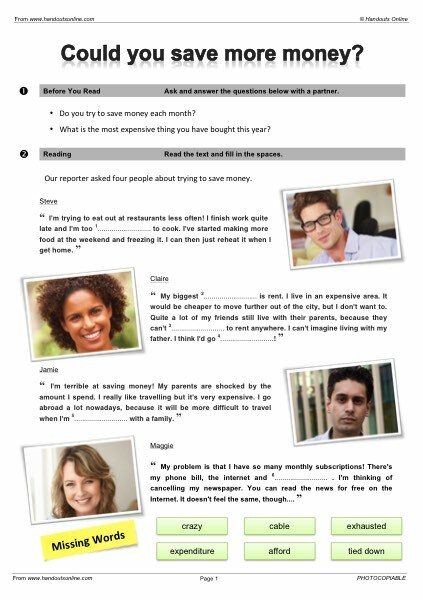 Handouts Online has a great collection of worksheets on resumes and job interviews. Looking for advice on improving a resume? 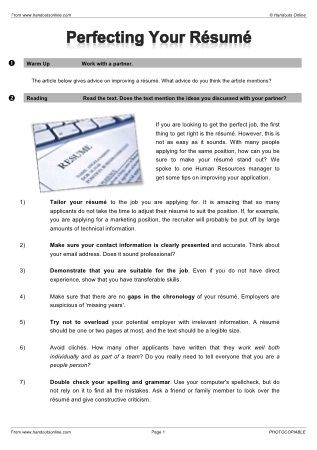 Check out Perfecting Your Resume. 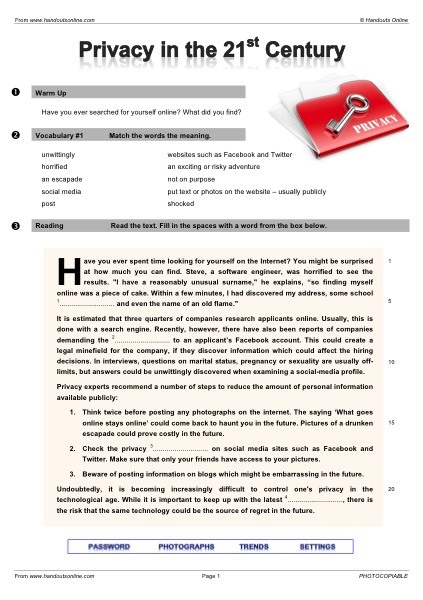 It has tips for resume writing and an example which your students can correct. Your students can discuss resumes further in Robot Recruiters which looks at the growing phenomenon of companies using algorithms to create a candidate shortlist. 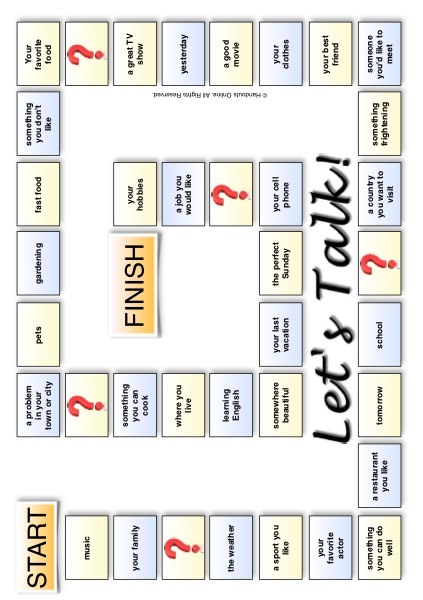 Your students will also need to sharpen their interview skills. 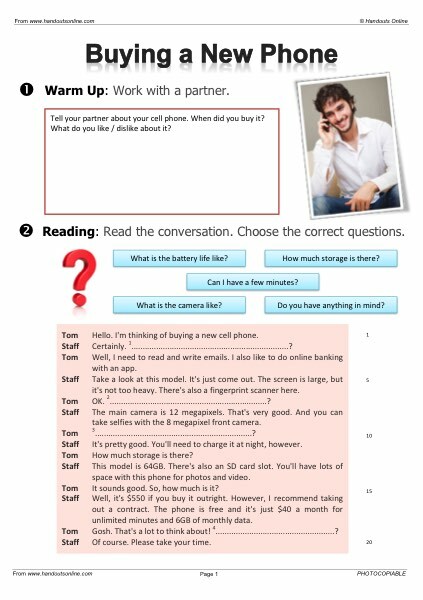 Try (our appropriately named) The Job Interview. 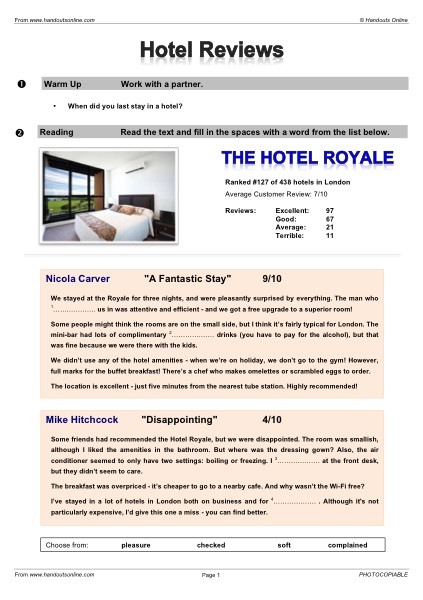 It has an extract from an interview for your students to read and analyse. 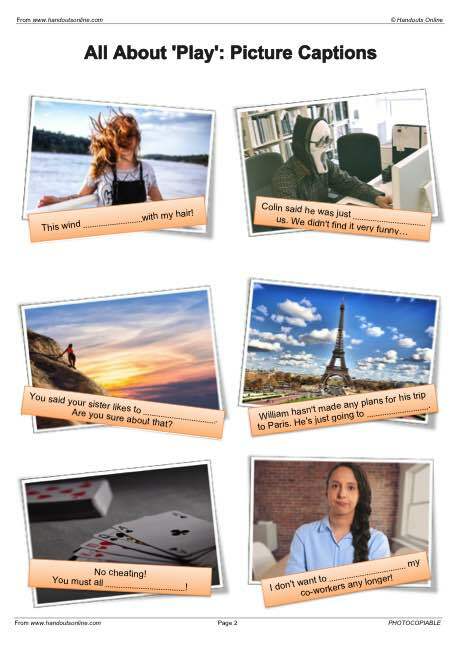 There is extensive role-play, where we have prepared lots of common interview questions. 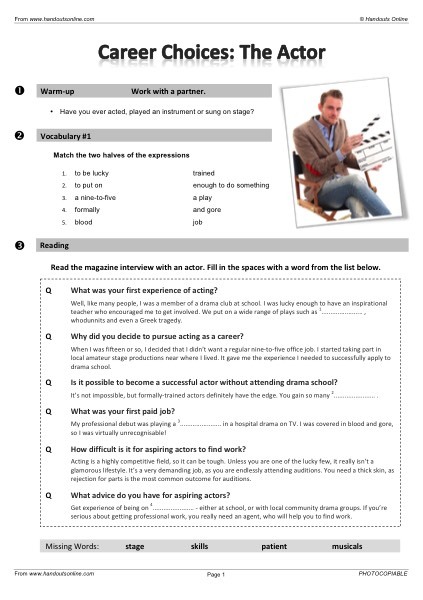 You'll find many other worksheets for interviews, including Advice for Interviews and After the Interview. 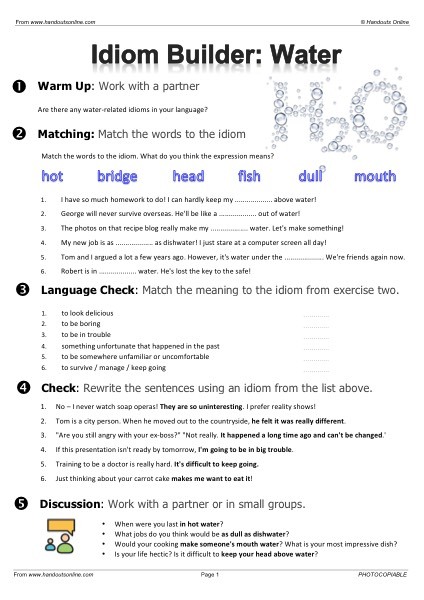 Our goal is always the same: helping your students attain confidence and fluency with the language. 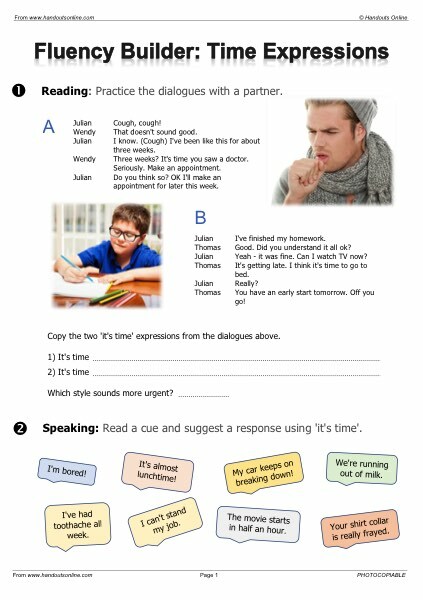 They're great for providing extra practice of language points found in ESL textbooks. 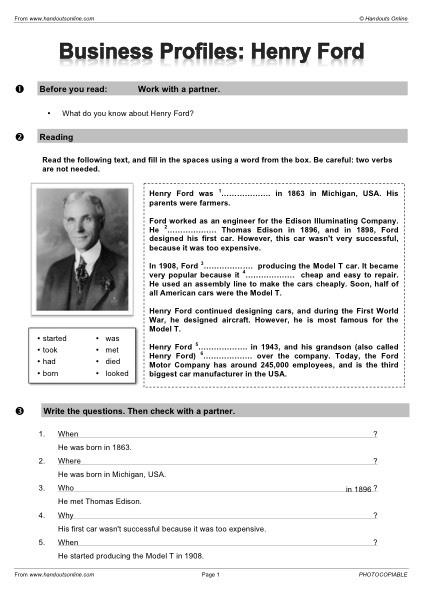 Remember that Handouts Online members can make photocopies of the worksheets to use in their classes. 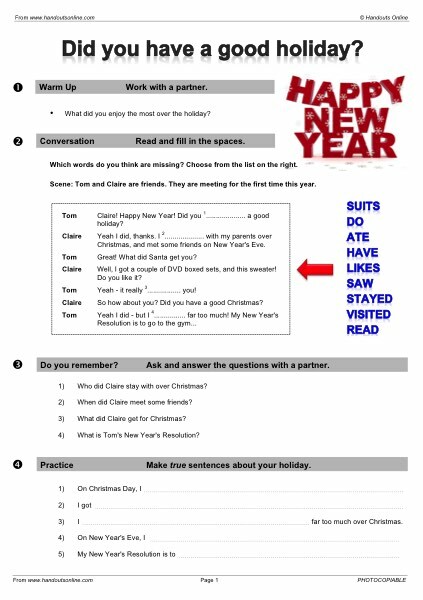 It's easy to find a worksheet - just look for it in our search box. 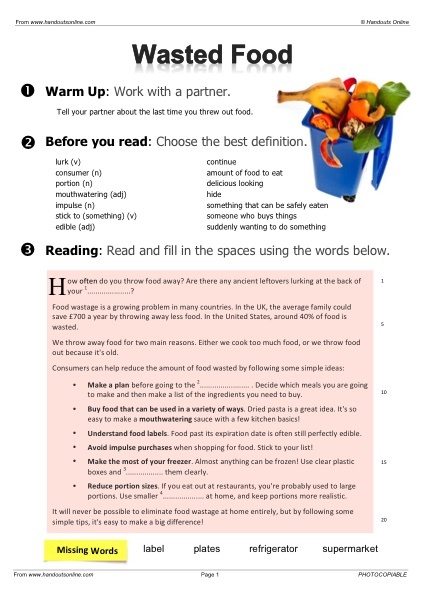 All our worksheets come with extensive teaching notes. Step-by-step instructions for all activities. 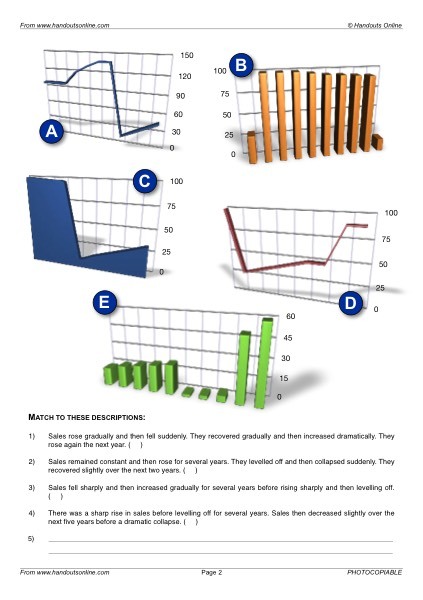 One-glance information bar, giving the target structure, vocabulary, level and time. 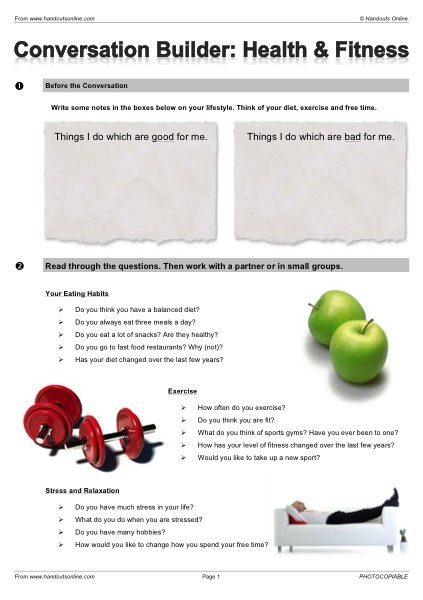 Suggestions for additional activities, and tips on presentations. Our teaching notes are, of course, only a suggestion. 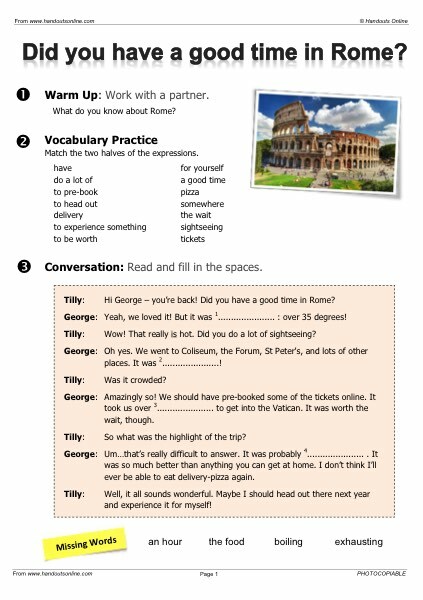 Our worksheets are designed to be flexible, so that they suit the dynamics of any class. 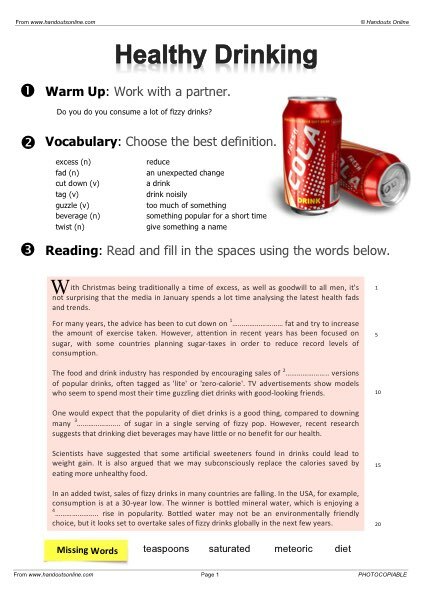 For members with the Extended Licence, there is an additional set of worksheets without teaching notes or answer keys. 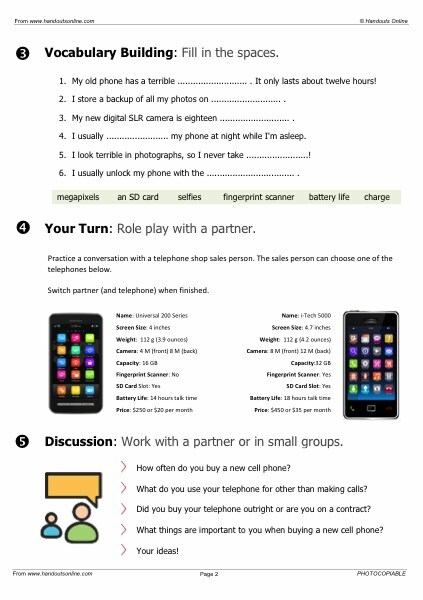 These can be sent to students either as an email or Skype attachment. 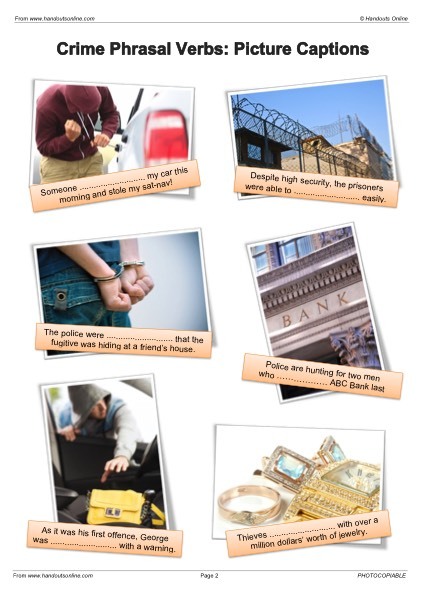 Flashcards are another great bonus for Handouts Online members! 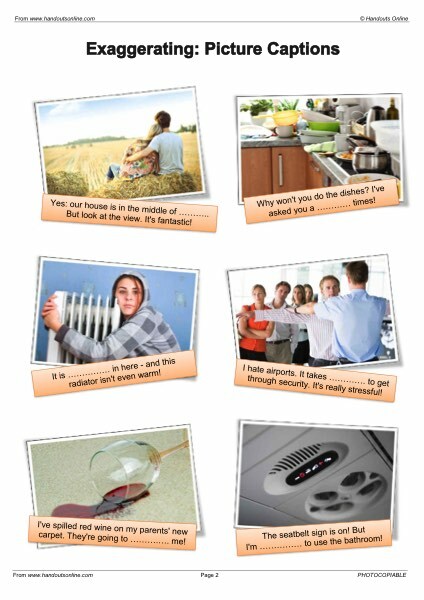 We have cards you can use to teach some of the most common survival English vocabulary. 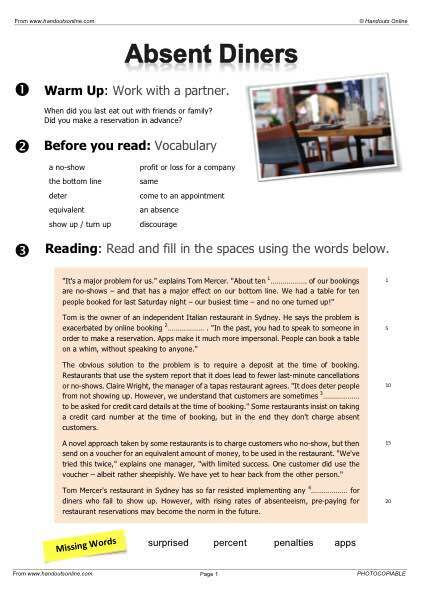 All our flashcards are available as two per page or six per page. 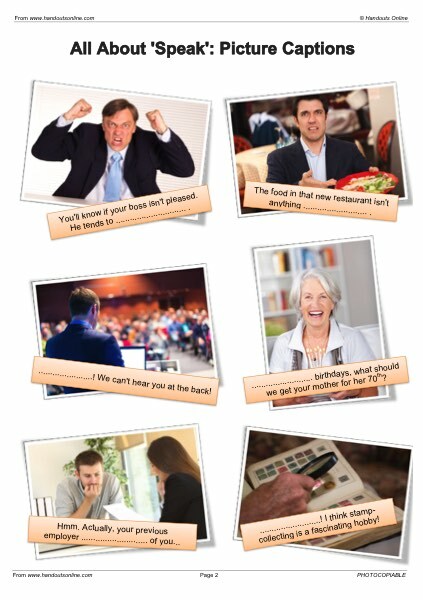 Low-cost Membership System Join us today and get instant access! 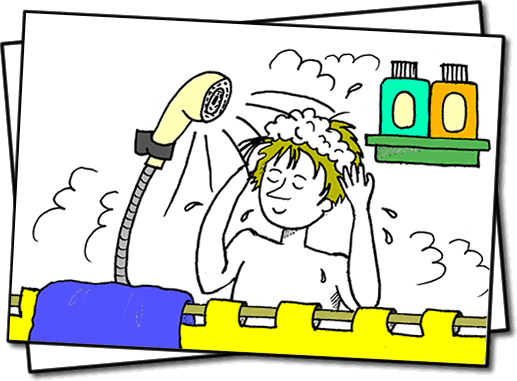 We keep things really easy for you! Fantastic low price: from less than 2$ / 1€ / £1.25 a month! Membership is annual - not six months - with discounts for renewing members! We have really simple Terms and Conditions. Questions? 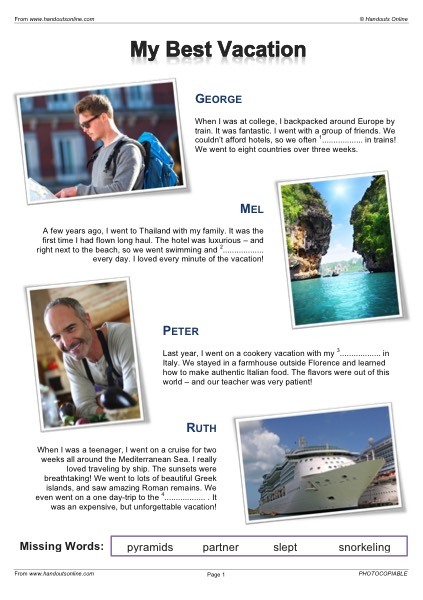 Take a tour, check our FAQ, or get in touch with us. We're always pleased to help out!